Why is Mitt Romney refusing to answer questions on Obama's new immigration policy? When opportunity knocks, it's a good idea to answer the door, especially if you want to be elected the next president. Last week, President Obama announced that illegal aliens under the age of 30 who have been here since before they were 16 would no longer be deported and would be eligible to apply for work permits if they meet certain requirements. In doing so, the president handed Mitt Romney a golden chance to score some points with the beleaguered middle class. With millions of American citizens out of work and unemployment at more than 8%, it was a gift to Romney. But instead of pointing out these things and suggesting that the few jobs being produced should go to American citizens, Romney was silent. Instead of saying immigration is a huge problem that needs to be dealt with, but not at the expense of giving American jobs to illegal immigrants, Romney was silent. Instead of pointing out that Obama was violating immigration laws and instead is making his own laws when it comes to illegal immigrants, Romney was silent. In fact, he was given a second chance Sunday by Bob Schieffer on CBS's "Face the Nation," where he was asked five times about this issue. But the best he could do was refuse to answer, dodging the question in the best political tradition. If Romney wants to be the next president, he should start speaking out for the rule of law and on behalf of American citizens, especially when the choice is as clear as Obama made this. Here's my question to you: Why is Mitt Romney refusing to answer questions on Pres. Obama's new immigration policy? He doesn't have a position that won't alienate Hispanic voters. He is not a man of principle and integrity, he's a man who is out to do whatever it takes to get the votes. He is a big flip flooper from way back. He says Obama tells people at each speech what they want to hear while he does exactly the same thing. He is afraid to say what he thinks or beleives. Because, his parents didn't raise no fool, Jack. Obama has put a big piece of bait out on the stage with his (ahem) "adaptation" of the law for selective enforcement. It might not even be legal. But, the last thing Romney is going to do at this point is take a position to deport 800,000 people. His answer seems to be right - if Obama believes in immigration reform, let him put out a comprehensive plan rather than a policy snippet intended simply to buy votes and provoke a confrontation. He has. It was lame and had to be because if he said what he really thought, he would alienate his base, including some of his own delegates who are really Paul supporters who are just looking for a reason to force a delegate right-to-conscience rule on the first ballot in Tampa. This is what the President has had to do for his whole term. The GOP controlled House has done nothing to help the country for 3 1/2 years on purpose! Only by Executive Order has the President been able to make ground and correct areas that should have been done in the House! Romney can't say anything because anything he says would be against Immigration!! Sooner or later, all the areas the GOP has waged War on will catch up with them, Probably in November. They are Anti Women rights in Health and Job Equality, Anti Poor, Anti Blue Collar, Anti Social Security, Anti Medicare and Medicade, Anti Big three Auto Makers, Anti Unions, Anti Education, which makes them ANTI JOBS!!! They have done nothing but vote NO! The president has taken charge and is doing Bhoener's Job also. It almost seems we don't need the House! Why are we paying them??? Romney has already lost! Because he doesn't have a policy, and he doesn't want to alienate potential Hispanic voters. Doug, Pepperell, MA. we all know mitt has no definitive position,gone with the wind,any where the wind blows,count him in. You should probably ask why Sheldon Adelson has refused to answer questions about President Obama's new immigration policy. Isn't he the one in charge now? All the silly talk Romney fed right wing radicals to win the nomination is laughable to the general public. He can't claim that deporting over 12 million people is possible or desirable. Economists would slice and dice him. Romney has delivered more than the farm vote to Obama with his policy. For the same reasons President Obama announced the policiy in the first place, he wants to win the Latino vote. As a person who would fit into this 'Latino' voting block, I am personally irritated by both parties stance to refuse to take on big agriculture and big business interests on this issue. In the meantime, we have an underground borderline slave population getting paid at or below minimum wage to do very hard labor in very tough conditions. It sadens me that everyone seems to be ok with this as long as they don't have to pay more for their lettuce or strawberries. Seems with this tactic by both Obama and Romney, they too back continuation of this slave labor. As long as they get their vote I guess it doesn't matter to them. Because the subject is a lose-lose situation for him. He can either alienate his base, or alienate the aliens, or keep his mouth shut and hope nobody, except maybe you, will notice. If he opens his mouth he will lose the "White" House .Just shut up and you are in.You cant debate a guy who doesn't give answers. Romney is in a lose/lose position on this one. If he shows sympathy towards this group of immigrants then he loses some conservative support and insensitivity loses some Hispanic support. He can't win. The best he can do is to call out Obama on this obvious political stunt to sure up his youth and Hispanic demographic base. Forming a political position solely for purposes of being elected is a laborious and thoughtful process which cannot be rushed into. Once Romney has touched bases with all of his sponsors, he will be more than happy to share with us his position on Obama's recently announced new immigration policy. Romney's position has to be "for it" and "against it" at the same time. For the same reason he don't answer questions on Bain or his governorship or anything else. He just comments vaguely and leaves. Mitt is here in Michigan and we spent all weekend, at great taxpayer expense, to make sure ALL the trees were just the right height, so he would have at least one talking point. He is afraid of telling the truth, with good reason, and he is afraid of being caught in a lie. Being mute solves both problems. President Obama has pushed Romney into a corner on this one. Romney has been merely opposed , without stating his own solution or position, to everything Obama proposes. However, on this immigration matter if Romney opposes it he will inflict harm and if he supports it he will inflict harm. Romney is seeking a mitigating damage position. Romney is consulting with Bain Capital to decide if he should import or export jobs and bain is taking some time to think this one through. Probably because he agrees with it and we all know a candidate can never agree with an incumbant. He hasn't been told what to say, yet! Probably because he knows he'll be damned if he does and damned if he doesn't. The media is salivating, waiting to pounce on his comments..................whatever they may be. He isn't answering because they haven't programmed him yet. How can you answer questions about a two year temporary fix to a problem. This so called solution will expire at the end of the first year of the new president, at that time we can listen to same old jaw-jacking that we have heard on this subject for the last 8 years. And the Dems have had almost four years during that time to do something about it, but we only see a temporary Executive Order issued during an election cycle only five months before the election. Even Romney is on board with granting amnesty to over eleven million illegal immigrants, that is a lot more than 800,000 people. Pretty simple Jack – he hasn't received direction yet from the Donald, Mr. Adelson or the Koch brothers on what position he should take. I don't get it either. He's flip flopped on so many other issues, why would one more matter? He needs the latino vote. He's trying to figure out which way the wind will blow first. I for one disagree w/the interpretation of the 14th. I believe that you have to have parents naturalized first, then the kids a citizens, not the other way around. So, I disagree w/the president on this one, but, I will never vote for Willard. Romney wants to appear to be the one with a plan that might work but he was basically behind the curve and Obama threw his plan out first. Now all Romney can do is either fish or cut bait. Because Mitt is still walking that "Pandering fence", Jack. Even though he's said in the past he wants tougher immigration (to pander to the righties), he also is trying to pander to the Hispanic vote too. Don't you see the double faced mirror Mitt carries around that helps him be on both sides of an issue? I do not know how an informed American can be comfortable voting for someone like that. It frankly scares the daylights out of me. He hasn't gotten his talking point from the Koch brothers yet, or heard back from the mother ship? Besides–what's your hurry, Jack? Whatever weathervane Willard says today will be contradicted by what he says tomorrow. Mitt is trying to be invisible until November. He is hoping everyone forgets that he and his rich consipiritors have destroyed our economy. Never trust bankers and brokers. Jack, I'm sure his 'handlers' are talking with Rubio & others before inserting "foot in mouth" . How can he answer something he has no idea about? If you want to ask him about spray tans and tanning beds, I'd bet he could answer that, then so could Boehner and George Hamilton. Come on, ask him something he knows about. Romney will let this one slide, and say nothing. If Romney is elected, that whooshing sound will be the deportation of immigrants. This guy probably could have visions driving across the border to Mexico with bunch of young illegal immigrants tied to the roof of his car. Just kidding, make that a bus. Jack, this is one of the features about Romney that I do not like. He has flip-flopped and doubletalk on issues ever since he got into politics. Instead of standing up and saying he is for something or against it he would rather wait to see which answer would serve him best as a politician. I want a president with a backbone and Romney is not that person. I am surprised he got this far without the news media asking or bringing up all the flip-flops he has on tape in previous interviews. Why did Romney not answer the woman's question yesterday about whether or not he (Romney) would repeal "Obama Care"? Earlier in this campaign Romney said that he (Romney) would repeal that Health Law. I think we have the fastest chameleon in the West! I presume Romney is moving left to pick up Democratic support. If it bothers me–can you imagine how Republicans are feeling, now? Why should romney answer questions about obamas illegal immigration policy which takes jobs away from legal american citizens. Obama should be recalled or impeached for failing to enforce immigration laws instead of worrying about hispanic votes. Because Obama surprised him Jack. Romney's like a deer caught in the headlights of an oncoming semi. It's too bad to because Romney could be Bambi's father. Romney is refusing to answer until he sees what the polls say. He can sit the fence forever. Ed Luhan says the Statue of Liberty should be taken down because his people are not getting what the Ellis Island immigrants received. The Ellis Island immigrants received the same as the rest of our ancestors recieved. "Thank you for coming". And sent them on their way. I'm not suprised. Romney would have to take the opposite position and would cost him a lot of hispanic votes which they both need to win. He'll keep quiet until Feb of 2013 and then kick all of them out after he's sworn in. We're headed for exciting but violent times in our history. When you answer any question as a politician, you put a target on your back. But, Romney takes the cake for not having the courage of his convictions. Or maybe he doesn't have any convictions. Because he has to check with his donors and the right wing of the party to check what his position should be. Young illegal Mexican students have never been deported, even during the Bush administration. Apparently our president would rather discuss a non issue versus discussion of ObamaCare and jobs. Romney is not going to take the bait on a smoke screen issue. Governor Romney is busy planning jobs for these young students. Why is Romney not answering? As a Latino-American, President Obama has only implemented what Marco Rubio (Romney's potential running-mate) has been pushing for a long time. Unfortunately, Rubio and Romney's own party in Congress has killed any form of immigration legislation over and over, in the name of Tea Party obstructionism.. So Romney has been check-mated by his own party. Sadly, it's just another example of how ingrained racism and discrimination is in Republican Party. He's waiting for his handlers to formulate his current position for him. He's an empty suit who will say and do whatever he's told to do by his GOP masters, just like GW Bush. His VP will be Cheney-like, another Darth Vader type. Mitt Romney is waiting for the poll responses and the waters to be tested before he jumps in. Rubio's plan for dreamers seems to have been acted on by the president. Because he can't decide whether he should FLIP or if he should FLOP on the issue. "Why should he? He didn't start the ball rolling, maybe if they were both were able to ask each a question it would be a stalemate! I know there must be many Obama won't answer!" Great Jack, you rip into politicians for shooting from the hip and rip into them for taking the time to think about an issue. You can't have it both ways. Maybe the good thing here is that Romney has finally realized that he is in the race of a lifetime, and is going to take time to clearly formulate policy, be a statesman, what a concept. Because Romney has no answers on any of the issues. He criticises evrything Obama or other Democrats say or do but never offers any specific solutions to anything. Even his claims of super hero powers when it comes to the economy lack any detail. And Romney always leaves room to flip flop before claiming to stand by whatever it was he said. In short, Mitt Romney is woefully inadequate to be our next president. It's pretty obvious. He's wedged between a rock and a hard spot and if he moves, one is likely to come crashing in on him. He is obviously in favor of the move but he can't say anything because of his 'Obama can do no good' rule. Yep. Running for the most powerful position in the world and when asked huge country-altering questions, he goes blank. WHY do we want this guy as a LEADER?!?! Seriously, Republicans, can you at least back a guy who KNOWS something?? ONE TIME?!?! Simple, Mitt Romney is focusing on a much bigger issue, the economy. People won't be coming to America if the economy is in collaspe. So let the bigger issue come first. Jack, this issue puts Mitt is a corner. In order to get elected, he needs to appeal to voters beyond the Republican base, so if he opposes this policy, he runs the risk of turning the Latino vote against him. On the other hand, if he comes out in favor of it, the far right will not hesitate to attack him for it, which in turn runs the risk of further driving Independent voters away from a rabidly right wing controlled GOP. He is too worried about losing votes, putting his foot in his mouth, stepping outside party lines, or any combination of those three. Because in his gut Romney knows he's not a leader. Leaders must act, they must lead and Romney simply can't. Regardless of how one feels about Obama, the fact is he's a leader. He has taken the first, lead step, whether its with stimulus, health care or now immigration and that's what all good leaders must do and why Romney is not a leader: he simply can't take that lead step. Because he is smart enough to know that the media will try to discredit anything he says right now. I agree with his strategy, keep them guessing until he is ready! Mitt Romney is refusing to answer because he has no clue when it comes to immigration. The only answer he has is self deport and cannot etch sketch hisway out of this. An excellent question. I thought Romney was going to shoot this down immediately. In fact, he was plotting with Rubio to do all these things himself. He negotiated with Obama, and stupidly told Obama exactly how much crime he would tolerate without fighting it. Obama took exactly that amount, and announced this illegal decree. 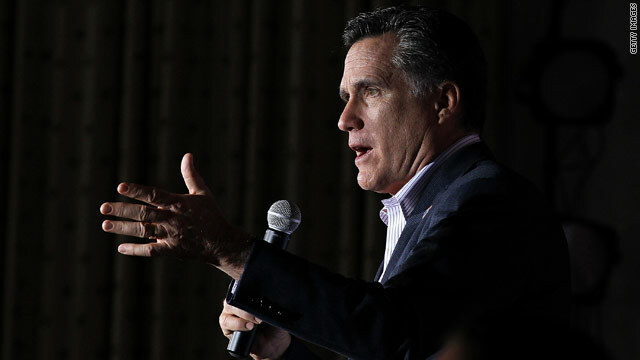 The reason Romney doesn't comment is that he is guilty of plotting and lying to abet this same immigration crime, and Obama out criminal-ed the very cherry Romney, who should never have been plotting crimes in the first place, especially not with Chicago mobsters like Obama and his gang. What happens when Romney gets that 2 AM phone call and he has to make a decision without consulting the Polls? I guess there is always the Etch-a-sketch. He isn't speaking out because Romney hasn't got his answer from the super paks or whom ever is pulling the strings for the puppet Romney. Since we have had 0 migration from Mexico to the USA since 2000 and President Obama has been sending undocumented workers back home, why is our employment still at 92% Yes I said employed...could it be that corporate America hasn't written Romney his latest sound bite on immigration. While we wait let's remember who has been sitting on their hands for 3+ years. He's refusing to answer any questions because he hasn't been programmed for immigration questions. Please stay tuned for the Etch-A-Sketch upgrade 3.0. Jack they don't yet have enough pollling info to know whether there are more votes in agreeing with the move or more votes for opposing it and his own position is soft. He is not answering till he figures out where the most votes are. What I want to ask him is if he is preaching smaller government, how many Gov workers can expect layoffs under his presidency so that corporations can get more tax breaks? Can we really elect a president who was amazed at touch screen ordering in a fast food restaurant – he was gushing like a schoolgirl about it? Jack, it' because he and the GOP have no solutions and threy know President Obama just made a good start for young people and the immigration problem. To say anything detrimental guarantees a hit on his campaign. the Sarah Palin debacle from last time is making him cautious. He desperately needs Hispanic votes and shudders at a mis-step. Because at his core he believes it's good for business. Hardworkers willing to accept low wages doing jobs the rest of us wouldn't. I worked on my grandmothers farm untill I was 16, then worked for my brother-in-laws in their construction company untill I got my degree in eledctronics. No way was I doing either of the 1st two for the rest of my life. Becasue he has a date this thursday and does not want the hispanics to get mad before her gets there with his real adjenda of deporting every hispanic he can. Because now that Obama has taken the lead in at least doing "something", he will now either alienate the anit-immigration conservative vote or the Latino vote. He can't affort to lose any of either one. Why is Mitt Romney refusing to answer questions on Pres. Obama's new immigration policy? Willard Mitt Romney is refusing to answer ANY questions Jack – not JUST the temporary immigration policy. Those of us who actually ARE informed voters are STILL waiting to hear ANY plan of his.. All we are getting is talking points from FOX NOISE and nothing more..
Willard Mitt Romney is nothing more than an EMPTY SUIT. Probably because he's spent the last 18 months saying he'd veto any Dream Act bill that came across his desk. Now he's afraid to say that the first thing he'll do is rescind Obama's executive decision and thus loose all of those Mexican American votes he trying so hard to get by courting Marco Rubio. He's a puppet.....he's too scared to say anything. Cant blame cowards for backpedalling! Romney will answer when he is ready. The mainstream media and CNN want a gotcha moment from Romney but he is outsmarting you. He will give his answer when he wants to and not when the media wants him to do it!!!!!! Ask his handlers, without whose instructions mitt, the wind-up candidate, says nothing at all. Obviously, he doesn't want to drive away the few Latino votes he might actually get. We have two classic panderers running for the highest office. I won't vote for either one of them. I'm deeply offended by the choice offered. Jack: Mitt Romney is up against the Republican controlled Congress, which has done nothing in the way of immigration reform, or anything else. Mitt does not have a position, because the Republican Party is speechless. The Speaker of the House can not control the Tea Party to get anything accomplished. The Do-Nothing Congress is a well and alive. It is an anchor around Mitt's neck. Jack, I really don't know why everyone is so surprised by his lack of response. Let's face it, nobody knows what Romney really stands for or what he will do as President . The fact is, that no matter what he says, next week he may have a different opinion. Will the real Mitt Romney please stand up? We are all waiting. Romney is Mexican American, he dad was born in Mexico how can he go against his own. He has pressed the "flip-flop" button on his gadget, but it hasn't responded. Mitt pivoted far to the right during the GOP primaries so that he can appeal to the conservatives, it is going to take time to move to the middle. He doesn't have a policy on immigration or the economy – period. According to Mitt the "dreamers" will self-deport and re-apply for entry to the US. He is quietly pleading the 5th. When in doubt, keep quiet and it might go away. Not! Because jack, he has yet to figure out how to use " more tax breaks for the wealthy" in the same sentence with illegal immigrants. That is because he does not want to upset his servants in his homes. They might start dinking his Don Perion behind his back. Wishy Washy Mitt is trying to walk a fine line between alienating his base and alienating Hispanics. Now why would Romney answer a question directly? That would make too much sense. Just another politician that Did Everything But Think...Mr. D.E.B.T. from Baltimore. Puppet Romney hasn't been told what to say yet. He will flip flop a few times anyway OR shake his etch a sketch. It won't matter what he says, IF romney gets in, it will be goodbye to the Hispanics/Cubans and anyone else that the Mormans don't like. Any running mate that he chooses will be a Mortimer Snurd. Because he cannot afford any more flip-flopping. Also, he would have to actually answer a question with a direct answer and stick by it once he did. He wants the Hispanic vote but he is not willing to commit to them in any way. All he wants from them is their vote and cheap labor for nothing in return. He has no other plan for them or immigration and doesn't know what he hell to do. He needs more time for someone to make a decision for him because he is too weak to do so on his own and too gutless to make a candid stand on the issue. Can't wait for the debates. Why is Mitt Romney refusing to answer questions on Pres. Obama's new immigration policy ? Simple answer to that one : He doesn't want to alienate the Hispanic Voters, and if the truth be known, he doesn't have much of a policy on that issue. Like I've been saying all along – The only way Obama will win re-election is from the 5 battleground States that the eligible Voting 18 – 34 yr olds – It all about them, whether they will come out in groves for him, period. Mitt's just taking a very well-deserved rest from serial flip-flopping on this one... at least for now! He's refusing to answer questions on a lot of things. What will he cut to give his deficit reductions while at the same time giving large tax cuts–Social Security? Medicare? infrastructure? What "tax breaks" does he plan to do away with, only the middle class ones? Is he planning to use eliminating tax breaks as a kind of tax increase on the sly? What will do about the Dream Act and President Obama's order. These are just a few. Obama and his lackeys in the press want to change the conversation to anything as long as it is not about the economy. MItt Romney is not going to let them. As Clinton stated "it is about the economy stupid"
Jack, perhaps Mitt Romney is refusing to answer questions on Pres. Obama's new immigration policy because he can't understand how "undocumented" immigrants in our country illegally are going to produce the necessary "documents" to fulfil the requirements set by Obama's new policy. Because he needs the votes. It's sort of refreshing that instead of saying anything to get them he is saying nothing to get them. Why talk about something you know nothing about? Get on that bus and read Romney. Sidney Sperry Las Vegas NV. Marco Rubio will come out with his Immigration Policy soon, and if Mitt Romney is smart he will adopt it. Because he probably employs some of them. It's his idea of job creation. When will we ever have a real choice for president again? Romney is refusing to answer questions on everything. He's the king of the flip-floppers, and means that even if he took an stand on the issue of illegal immigration he would change it within 2.1 seconds, then change it again 2.2 seconds later, and would have more sides to it as time goes on. Remember: Romney doesn't have an answer on the Lily Ledbetter law that President Obama signed early in his term, didn't have an answer re the violence against women act that Republicans refused to support, doesn't know what he thinks about fair pay. He just knows that he wants to be King of the United States. My other theory is that he's afraid if supports illegal immigration in order to get Latinos to vote for him, he'll alienate the radical base of his party, and he's afraid that if he comes out against illegal immigration, he'll lose the Latino vote but preserve his purity with the tea party. By the way, Bush II and his Republican Congress had plenty of opportunities to do something about illegal immigration while he was in office, and they did nothing. Neither party wants to do anything about it because big business and the Chamber of Commerce love illegal aliens–they're the cheapest of the cheap labor for any job that needs to be done here. Below minimum wage pay, no benefits, no insurance, no holidays, no sick time, no vacation, no overtime pay, no comp. time, and if the illegal aliens complain, business can threaten to notify INS and have them deported.